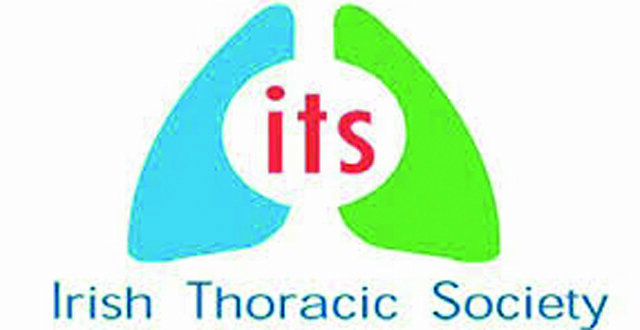 Performing single lung transplants in patients maximises the use of a scarce resource, the Irish Thoracic Society (ITS) Annual Scientific Meeting heard. At the two-day event, which was held in the Europa Hotel, Belfast, on 23 and 24 November, Prof Karen Redmond, Thoracic and Lung Transplant Surgeon, Mater Misericordiae University Hospital, spoke about “moving beyond the ordinary in lung transplantation”. She said there were a whole range of people with low to high-risk comorbidities, who could be transplanted. “For me, that’s the message that needs to come across today,” according to Prof Redmond. Working in Toronto taught her that great progress in the area was achievable, she said. “It requires effort; it requires dedication and teamwork,” she said, adding that the team in the Mater Hospital understood the “common goal”. She said that surgeons perform not just transplants, but also pre- and post-transplant care. Surgeons do a lot of thoracic surgical procedures before transplant, such as targeted diagnostic lung biopsies. “We look at donors, try to improve donors, so that we can use every donor offer, which is such a gift,” she said. As the circumstances around some donations could be tragic, Prof Redmond said it was very frustrating when there was not a suitable recipient. “And that is not too infrequent for us,” she told her colleagues. Prof Redmond said the COPD population was often forgotten about because, from a longevity point of view, they often live longer than patients with CF or pulmonary fibrosis. “While we do transplant people with COPD, there are a lot of options out there, such as endobronchial valves,” she said. These devices were expensive but helped return previously moribund patients to some activity and allowed them to attend pulmonary rehabilitation. “We use valves, not just for people with end-stage COPD as a destination therapy, but also as a bridge to transplant,” Prof Redmond said. Robotic surgery could also be considered for suitable patients. She argued that while the medical community did not always communicate well with the technology sector, things were changing, and she spoke about the possible use of exercise programmes for patients with CF to enhance their quality-of-life. “We’re very keen, not just to look at exercise prescription and compliance, but also at how we can do things a little bit differently,” she said, noting the area of virtual rehab. She recounted an exchange with a patient who had had a double lung transplant, who said that self-consciousness while exercising was a big issue for CF patients. She also praised the use of Holter monitors to allow clinicians to monitor patients remotely. Another area she was keen to improve upon was the clinical pathway for pulmonary fibrosis and was delighted that the ITS put out a position paper on idiopathic pulmonary fibrosis (IPF) this year. This statement concluded that interstitial lung disease and IPF have been something of a ‘Cinderella’ of respiratory diseases, “most probably because of the absence of effective treatments”. Prof Redmond said she was keen to take this to the “next level, where we actually process-map, using real initiatives, the care pathway of somebody with pulmonary fibrosis”. Choosing people for transplant was a team effort, she commented, and “it’s so important that we get it right”. While she understood that donor lungs were a valuable, finite resource, she said she hated to think that “we had a donor offer out there and we’re not transplanting somebody”. “We need to keep that in mind when we look at our transplant recipient lists,” she said. In terms of contraindication, she added that patients with an ejection fraction of 30 per cent had been transplanted, and that patients who have had a history of malignancy were being considered. She added that the oldest person who received a transplant in the Mater was aged 77. The Transplant Activity Report, she said, showed that there was a percentage of patients who did not receive a transplant and who come off the transplant list after three years. “I think this is the tip of the iceberg. There are so many people out there who never get assessed, who never get considered for transplant, who never get listed,” she said. She urged people to recognise that even if the lung allocation score of a patient was slightly higher, outcomes could be positive. She explained that IPF transplant patients had received very large single lungs, saying that there were no significant differences in post-transplant survival in IPF patients greater than 65 years old compared to patients younger than 65 years old. Given the many logistical constraints on a transplant team, Prof Redmond indicated that she was attempting to maximise the double donor lung resource by performing sequential single lung transplants (SLTs). While SLTs offered less lung function, it was a simpler procedure, with many of the procedures done off bypass. It was also a shorter procedure, so there was less related morbidity, and two recipients can be taken off the waiting list. “We tend to put very large donor lungs into these recipients,” she explained, so maximum benefit was achieved. Ex-vivo lung perfusion could also be used to remodel the donor lung if it was marginal. She highlighted that in Toronto, they have performed 200 lung transplants this year and were maximising their donation after circulatory death (DCD) donors. “We know that DCD donor outcomes are just as good as DBD (donation after brain death) donors,” she said. It was important that post-transplant optimisation was done correctly, she said. 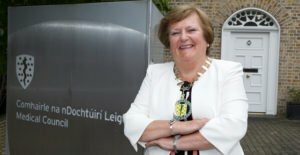 She added that she was really happy with the outcomes for the lung transplant group in Ireland, saying they were as good if not better than the international experience. She suggested that more people become interested in the area, and stressed the importance of succession planning. Both the Republic and Northern Ireland should work together on succession planning, she said. Taking questions from the floor, Prof Redmond believed that all Fellows should rotate through transplant in order to maximise their exposure. “It would be great if you could channel people through training,” she said. During this discussion, Northern Ireland clinicians noted that if a patient was deemed not suitable by the UK Institute of Transplantation in Newcastle, they could seek a second opinion from Dublin. While praising the Newcastle centre, Prof Redmond, who worked in the UK, said that IPF patients aged over 60 years were not considered, whereas Ireland did not have those restrictions. In 2015, 36 lung transplants took place at the Mater Hospital. In 2016, there were 24 lung transplants, while in 2017, 36 lung transplants took place. Poor adherence to inhaled asthma medication continues to be the single greatest problem in asthma management, the recent Irish Thoracic Society Annual Scientific Meeting heard. Professor of Respiratory Medicine at Queen’s University Belfast, Prof Liam Heaney, who was described as a leader in severe asthma and the foremost thinker in the field, gave a presentation on new developments in asthma management. “It is a very exciting time in severe asthma. We have a lot of new therapies that are coming to the clinics,” he told the meeting. However, older problems persisted and he said that there was “no doubt that non-adherence is the single most significant issue that we have”. He said that very low numbers of patients were taking inhaled treatment efficiently. Non-adherence was also expensive on health services in terms of unscheduled healthcare utilisation. “But now we have biologic therapies. 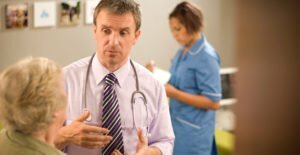 So for those more severe patients, unless we take a slightly different approach, I think we will end up committing people to long-term biological therapy. It is an effective therapeutic but they may have done just as well, or potentially better, with inhaled treatment,” he said. He also mentioned that exhaled nitric oxide levels (FeNO) was an excellent biomarker of response to inhaled corticosteroids, helping reveal which patients were adherent. This biomarker should be generally suppressed if patients were adhering to high-dose inhaled steroid treatment, he added. In a 2012 study, published in the Blue Journal from the Refractory Asthma Programme (RASP), patients were given inhaled steroid treatment directly for seven days. Prof Heaney said that across UK severe asthma centres, the INhaler compliance assessment (INCA) device was being used in a home delivery service. Here, patients take an INCA-enabled inhaler home, which is equipped with a FeNO metre. “The acoustic inhaler gives an acoustic readout when the patient opens the inhaler, if they use it correctly,” he said. The data gained provided very useful real-world information for clinicians. Citing a study recently published in the Blue Journal from the RASP, there was a cohort of patients who remained biomarker-high, even when they took their treatment efficiently. 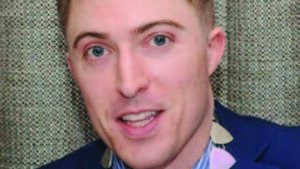 He believed that healthcare professionals and patients could improve adherence with simple behavioural interventions, and “in some of these patients, it is just enough to get these conditions under control”. However, the problem with adherence studies was that translating improved adherence into improved clinical outcomes had proven to be a challenge. “Meanwhile, at the ITS meeting, the Asthma Society opened a call for applications for the Asthma Research Bursary. The bursary, which is a joint collaboration between the Asthma Society of Ireland, the Irish Thoracic Society and Novartis Ireland, aims to improve the lives of people with asthma and their families. A double lung transplant recipient received a standing ovation from the Irish Thoracic Society’s Annual Scientific Meeting. In a moving presentation, Mr David Crosby outlined his journey from diagnosis with idiopathic pulmonary fibrosis (IPF) to marathon runner and organ donation advocate. He was praised at the two-day meeting for his outstanding, unquantifiable, work to raise awareness of organ donation. Introduced by Respiratory Consultant Dr Rory Convery, the 43-year-old father of three told the audience that his family was no stranger to tragedy and that he had lost three siblings to respiratory problems in childhood. Shortly after he turned 40, he developed a persistent, dry cough. Following a course of antibiotics and further investigation, an x-ray revealed scarring on the lungs. A trip to the Mater Misericordiae University Hospital found that his lung function was falling. A biopsy was performed and two weeks later, a diagnosis of IPF was made in August 2015 . He was given between a year-and-a-half and two years to live. He was prescribed with pirfenidone and placed on oxygen 24 hours a day shortly after that. “It was a traumatic time,” he said. A further visit to the Mater Hospital showed that his lung function was decreasing rapidly and that a transplant was urgently needed. Before he could be placed on the list, he needed to reduce his BMI. Taking to the task with characteristic determination and energy, he lost two-and-a-half stone within two months. Shortly after this, he underwent the double lung transplant, which was a success. During his stay in the Mater Hospital, a visiting relative mentioned that he would run the Dublin marathon to fundraise for the hospital. That was when the seed was planted to participate in the New York Marathon, as Mr Crosby had lived there for a time. Eight months after his transplant, and after following the training advice of his healthcare team, he did a five-mile run in Clontarf. Finishing this was very emotional, he said, then a year after the transplant, he did a 10k run. A half-marathon was his next run before the full marathon. Travelling to New York for his first marathon was a very exciting time, and he was honoured to be asked to hold the Irish flag in the city, he said. “It was a very proud moment, myself and my wife walking down Central Park with the Irish flag,” he said. While the marathon was tough at times, he got through it with the help of his family, friends and supporters in just over six hours and 15 minutes, breaking the record for Irish organ recipient patients and returning home to a hero’s welcome. Thinking of his siblings, his family and the donor, crossing the finish line was very emotional, Mr Crosby said. He is now on his way to obtaining the coveted Super Six medal, given to those who complete the New York, Boston, Chicago, London, Berlin and Tokyo marathons. He recently completed the Berlin Marathon with the other ones firmly in his sights, as well as participating in the Transplant Games. Dr Convery, himself a Super Six medallist, met Mr Crosby’s group on the flight over to the marathon, and he described him as an “absolute inspiration”. A review of paediatric deaths revealed that 13 cases were reported to the Paediatric Mortality Register (NPMR) between 2006 and 2016 where asthma was the primary cause of death. However, the study’s authors found that this figure may be an under representation. Improvements in education, an increase in respiratory nurses and improvements in record keeping were also recommended by the authors of the first study on paediatric asthma deaths in Ireland. Speaking at the recent Irish Thoracic Society Paediatric Forum at the Society’s Annual Scientific Meeting, Dr Sarah Richardson outlined that while asthma was the most common chronic condition in childhood, mortality from it during childhood was a rare occurrence. Ireland had the fourth highest prevalence of asthma in the world, the meeting heard. There was an estimated prevalence of about 26 per cent in the teenage group and 23.5 per cent in children aged six to seven years. While asthma killed approximately one person per week in Ireland, it was recognised the somewhere between 79 and 90 per cent of all asthma deaths in all age groups were preventable. Despite this, and a number of many international studies examining risk factors for asthma death, Ireland had never really managed to reduce that rate of mortality, Dr Richardson said. There was a dearth of recent national research on this subject, but lack of awareness of the condition was identified in international studies, such as a 1976 Cardiff study, which looked at asthma deaths between 1963-1974. Here the authors found that most patients were dying of short attacks and that they failed to receive medical attention quickly enough or the severity of the attack was not recognised by their clinician or by the patients themselves. Others studies, including one from Victoria, Australia, also showed that 60 per cent of the deaths had had an identified, preventable trigger. A large number of people died within 20 minutes of the attack and half had not had respiratory symptoms the previous week before their death. 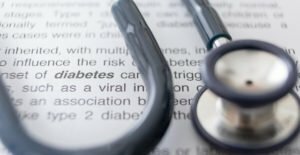 “They were the first to suggest that mild-to-moderate cases were also at risk and that we needed to consider that when we were educating our patients about the disease,” said Dr Richardson.